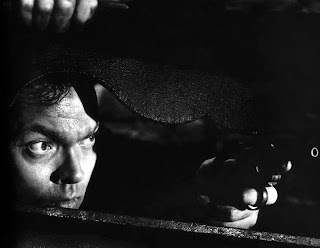 With the sudden influx of quotidian toil at my office, I can relate to Harry Lime, depicted above and played by Orson Welles in the 1949 film, The Third Man (which, Wikipedia notes, was released on the second day of 1950 in the United States). If you've not seen it, you have been deprived of a fine cinematic experience. The film also starred Joseph Cotten, who had appeared with Welles eight years before in Welles' magnus opus, Citizen Kane. Rounding out the cast was the lovely Italian actress, Alida Valli, who had appeared in the early 1940s Italian films, Noi Vivi and Addio, Kira, both based upon "We The Living," the first novel of Ayn Rand. Directed by Goffredo Alessandrini, "Noi Vivi" (later combined with its sequel into a single film decades later) was a bold anti-totalitarian work considering who was running Italy at the time. 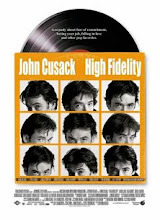 The film generally avoids the haughty certainty of its source material and its author, who most thinking people abandon after a literary fling during the first semester of their freshman year of college. Although Rand was fiercely anti-communist, a champion of individualism seems less credible when she runs her school of thought as an absolutist. Rand - like the totaliarians she held in such great disdain - refused to tolerate any dissent in her philosophical movement, Objectivism. Further, Rand's novels are vexing in that her characters are not human beings to whom the reader can relate so much as amalgams of Rand's various philosophical tenets. As such, these Objectivist archetypes do not feel, emote, or change, as they have already reached the Randian ideal and thus they are already perfect in their creator's eyes. The other characters, as polar opposites of Rand's darlings, are weak stereotypes of collectivists or traitors to the capitalist utopia for which Rand longed. But with Valli as the protagonist/Rand surrogate, such faults can be overlooked when translated to celluloid.